Mark your calendar for this Sunday, April 7! This year’s Atlanta Streets Alive returns and the Atlanta Bicycle Coalition is activating 3.1 miles of Peachtree Street for Atlanta Streets Alive (Central), connecting South Downtown to Midtown through the heart of the city. 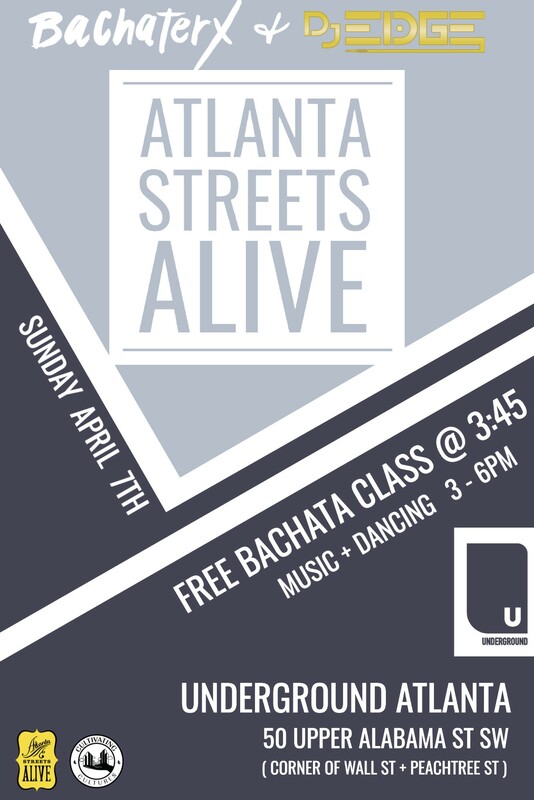 In honor of the event, Underground will welcome a free Bachata dance class, a style of dance that originated in the Dominican Republic, from 3 to 6 pm hosted by Bachaterx with music provided by DJ Edge. Stop by Underground at the corner of Wall Street and Peachtree Street to join in on the fun! Fulton County Arts & Culture Department will provide beverages + snacks. We hope to see you there!